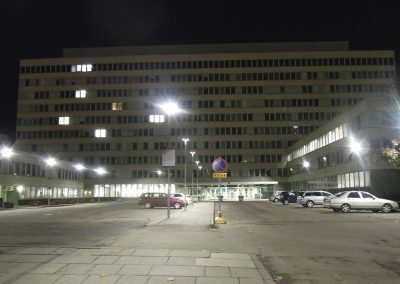 The exterior lighting of the Kallio office building of the city of Helsinki was fully renewed in 2012. Old mercury lamps were replaced by Valopaa LED luminaires. 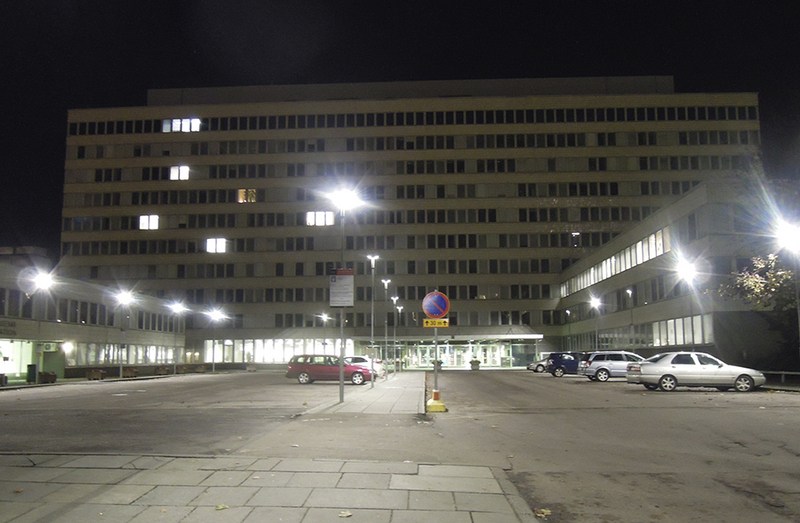 The exterior lighting of the Kallio office building of the city of Helsinki was fully renewed in 2012. Old mercury lamps were replaced by Valopaa LED luminaires. 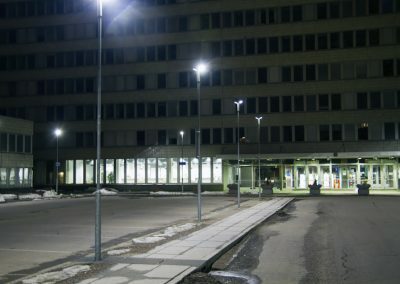 The superintendent of the office building, Marko Kumpulainen, lists several arguments why the lighting needed updating. “The light efficiency of the old lamps was no longer satisfactory. We chose LEDs also because they produce plenty of light with rather modest energy consumption. And energy efficiency suits the present energy consumption policies of the city of Helsinki nicely”, he clarifies. 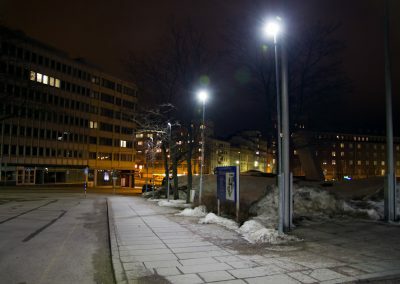 Kumpulainen says that the new lighting has received positive feedback. “Our expectations have been fully met”, he concludes. The Kallio office building was completed in 1965. It is quite large, with 42000 m² floor space and more than a thousand people working in it. 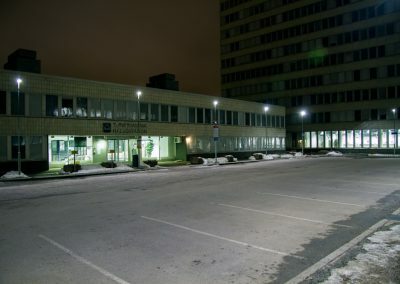 Most of the building is taken up by the social services of the city of Helsinki, but the premises also house the city cashier´s office, the city archives, the health station of Kallio and the Palmia lunch restaurant. The lighting renovation brought new LED luminaires to the courtyard, walkways and parking areas. In addition, a number of spotlights were installed. The total number of new luminaires was 54. Lighting designer J-P Tanskanen of Uudenmaan Linjamestarit, who was in charge of the renewal, says that the installation was quite effortless. He is also pleased with the results. “The lighting of the Kallio office building is really good now. The amount of light has increased 4-8 times, thanks to the LEDs. The change in lighting cannot be unnoticed by anybody”, he states. In addition to light and energy efficiency, Mr. Tanskanen founds several good qualities in LED luminaires. He stresses the long lifespan, durability and low need for maintenance. The luminaires need replacing hardly ever. This saves a lot of time and effort. 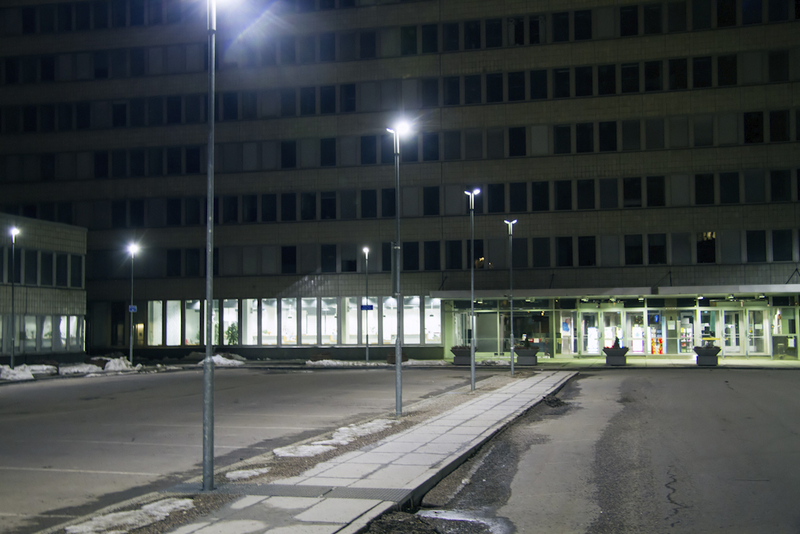 The old luminaries of the Kallio office building were replaced frequently. 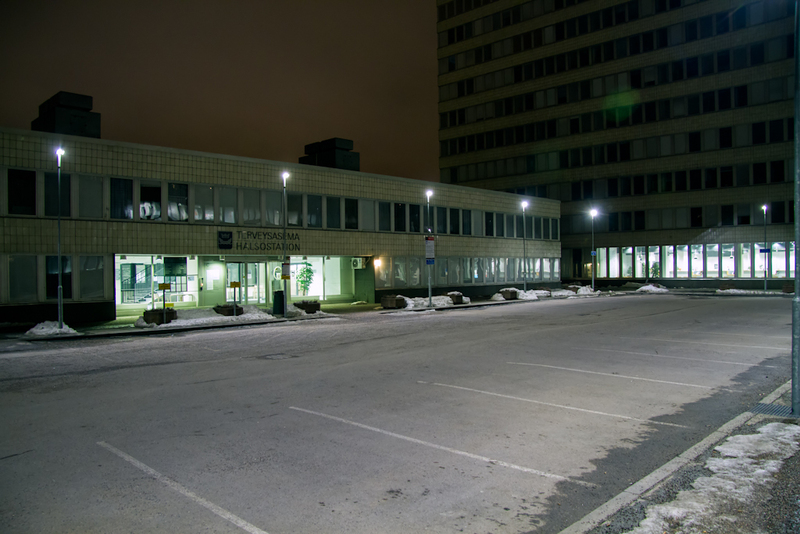 “We had to replace up to twenty luminaires per year, as a result of storms and vandalism. This will now decrease significantly since the new luminaires stand heavy weather and vandalism much better”, he says. Accordingtoi J-P Tanskanen´s calculations, the energy efficiency and durability presses down the payback time for the Valopaa LED luminaires to about five years.